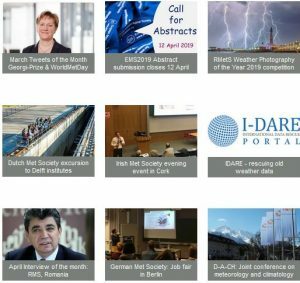 UCP2019, as part of the Grand Challenge on Clouds, Circulation and Climate Sensitivity and the German National Project High-Resolution Clouds and Precipitation for Climate Prediction (HD(CP)²), will bring together leading scientists from the observational and modeling communities. The conference will be a great opportunity to reflect on where we are, midway through the Grand Challenge, and to see what is happening at the forefront of research endeavoring to understand clouds and precipitation as part of the climate system — particularly involving methods at the forefront of technology (computing and observational). Here you find a template for interviews of the Liaison Committtee with individual members of EMS Societies. How can my organisation join EMS? Where will the next EMS Annual Meeting be held? How can I submit a venue proposal?